Biotech Alnylam has said it has halted all studies of its RNA interference haemophilia drug after a blood clot killed a patient in a mid-stage trial. In a joint statement, Alnylam and research partner Sanofi said the fatal thrombotic event occurred in a patient with haemophilia A without inhibitors during a phase 2 open label extension study of fitusiran. Fitusiran is an investigational RNA interference (RNAi) drug in development for haemophilia A and B with or without inhibitors. Alnylam’s RNAi technology uses small interfering RNA molecules to target strings of defective RNA molecules in cells, preventing them from coding disease-coding proteins. Alnylam said it suspended dosing in all ongoing fitusiran studies, so it can review safety and develop a risk mitigation strategy. The Massachusetts-based biotech said it aims to resume trials as soon as possible, once amendments to protocols to improve safety have been agreed with regulators across the world. Sanofi and Alnylam have an alliance to co-develop and co-market the drug, and Alnylam has primary responsibility for development. It is a potential competitor for Roche’s emicizumab, which could be a blockbuster if approved as a prophylactic in haemophilia A, the most common form of the disease, with inhibitors to factor VIII. Roche’s drug could be approved next year if things go well, although there are question marks over its safety as there have been incidences of thrombotic microangiopathy – damage to blood vessels in vital organs – in trials. Alnylam’s drug is expected to be an also-ran in terms of sales, and the latest news has not helped the company’s prospects. Shares traded on the Nasdaq exchange are down more than 16% on the $86 price they commanded before the news was announced late on Wednesday. Alnylam began an alliance with Sanofi’s rare disease unit Genzyme in January 2014 to develop RNA interference therapeutics. 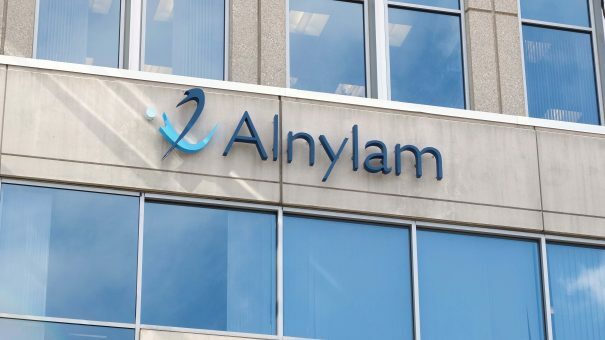 Alnylam retains product rights in the US, Canada and Western Europe, while Sanofi Genzyme got rights to certain R&D products in the rest of the world until the end of 2019. It also has certain co-development and co-marketing rights to some undisclosed products.